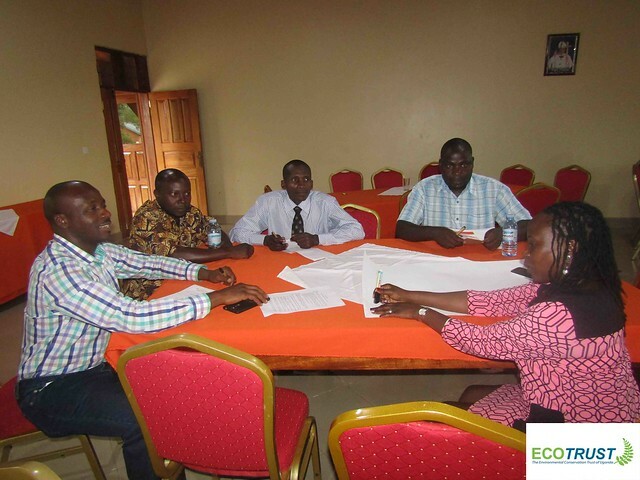 The Government of Uganda and Oil Companies are in the final stages of commencing oil production in the Albertine Graben of the country. 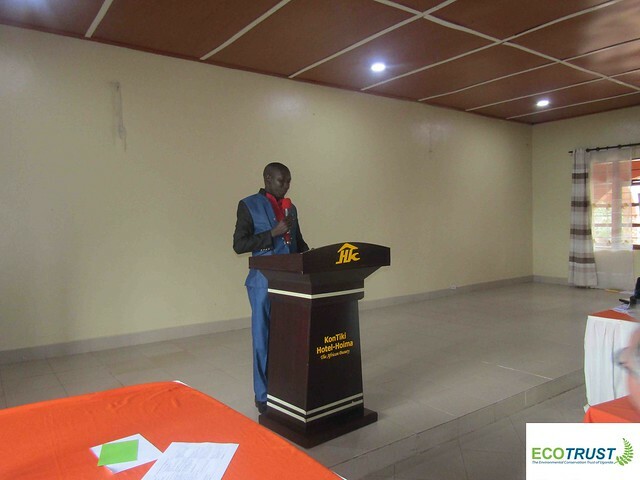 Construction of oil & gas infrastructure such as pipelines and refineries pose a threat to the integrity of the eco-system and provision of International Public Goods in the region. 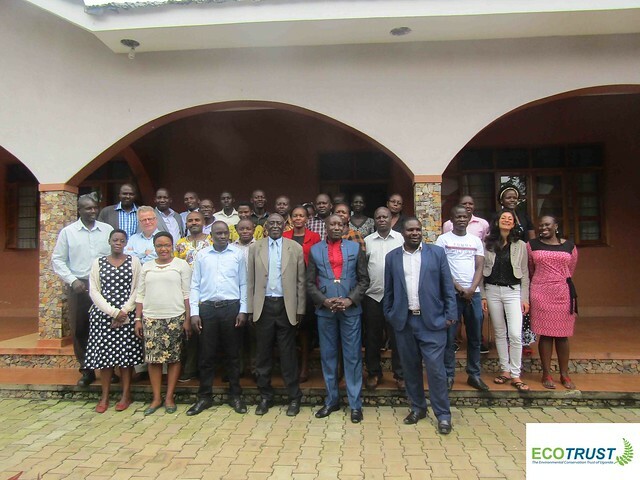 Between September 3rd and 5th 2018, the SRJS Programme Implementing Committee of Uganda (SICU) with support from IUCN NL organized a training on Strategic Environmental Assessment (SEA) and Environmental and Social Impact Analysis (ESIA) principles and practices. 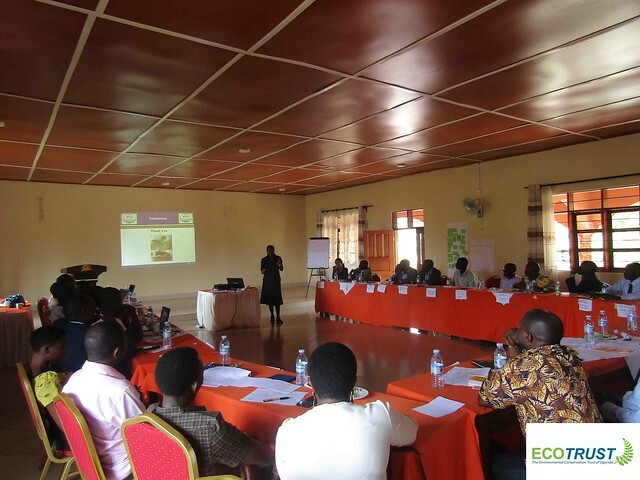 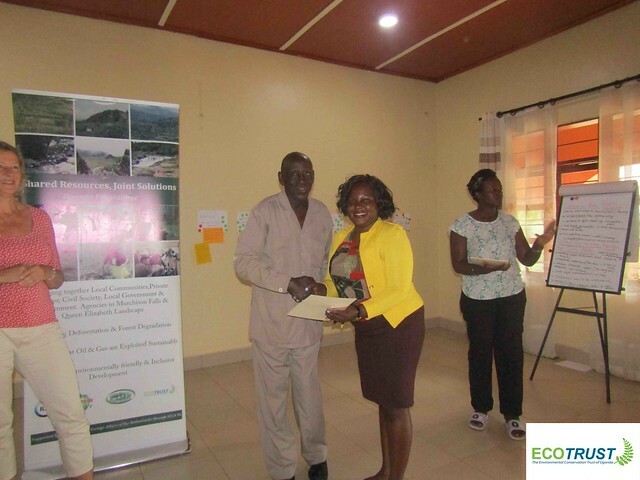 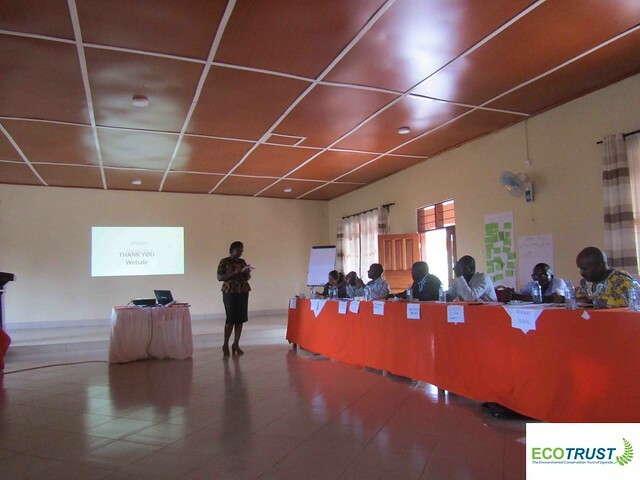 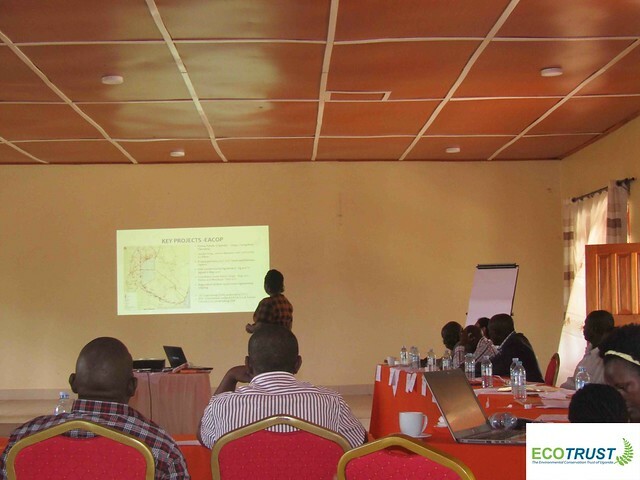 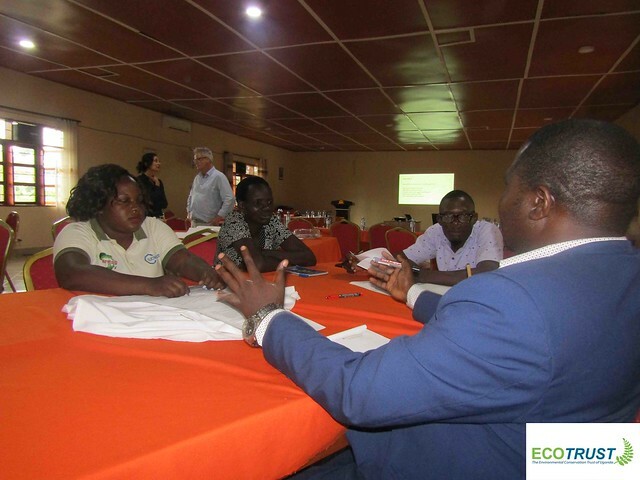 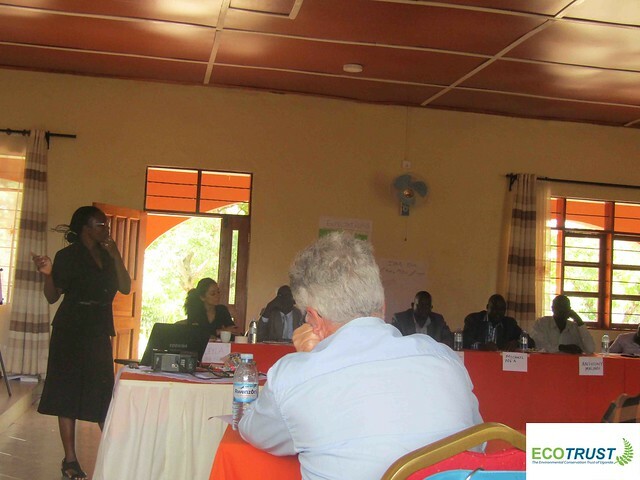 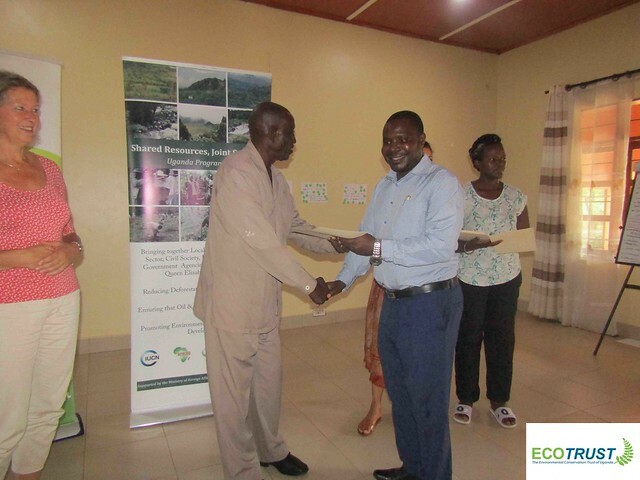 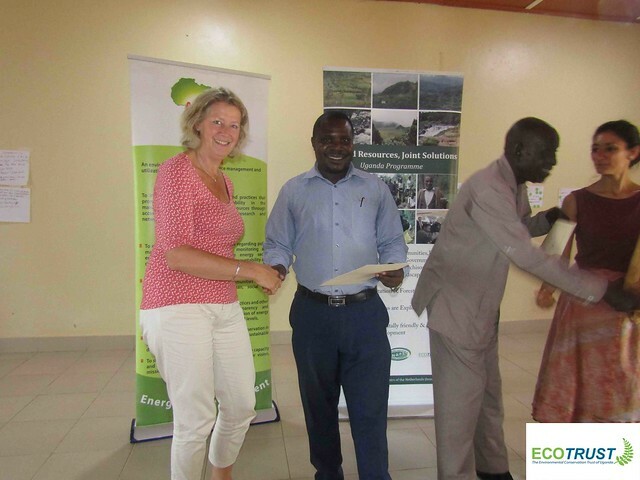 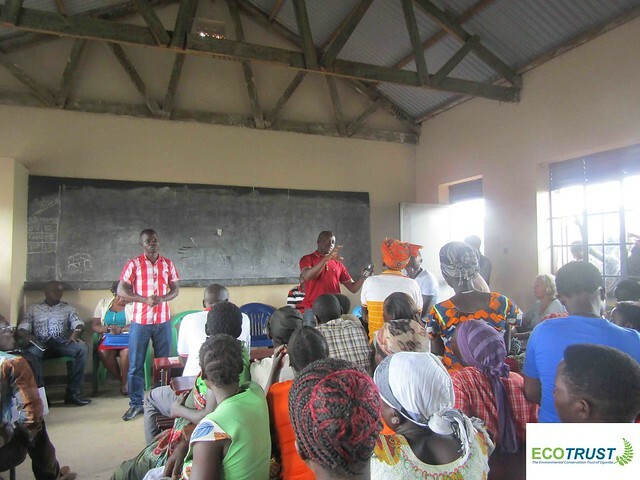 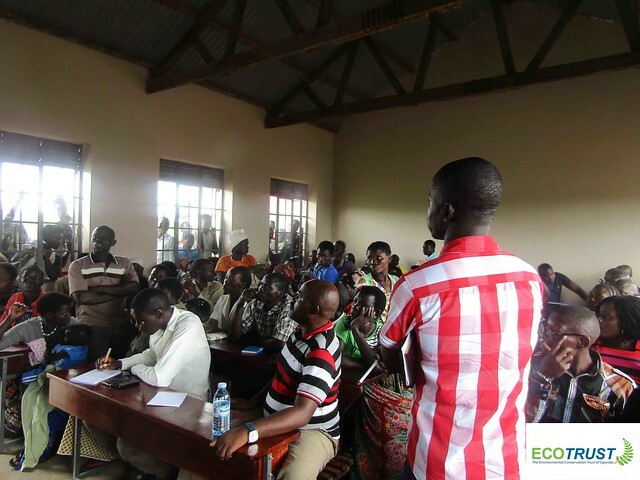 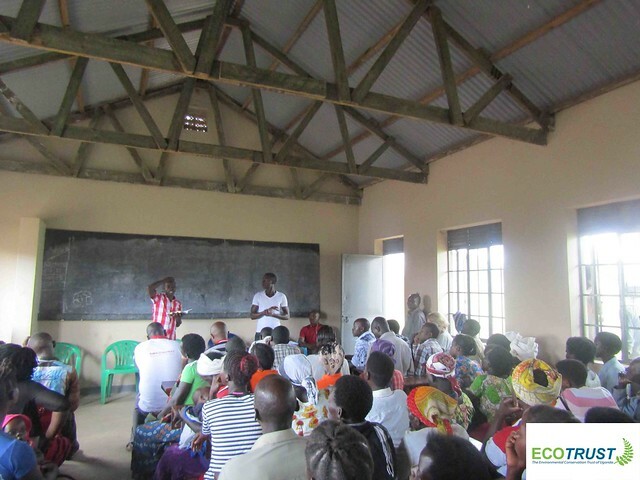 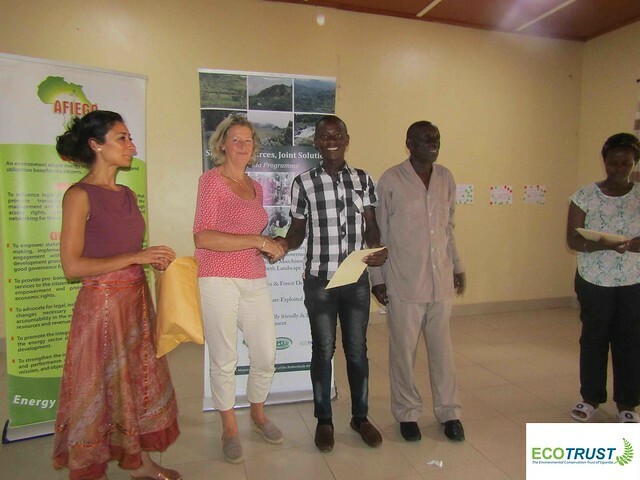 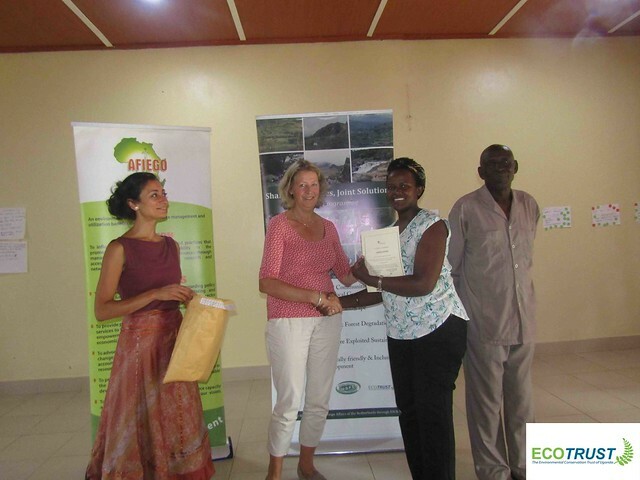 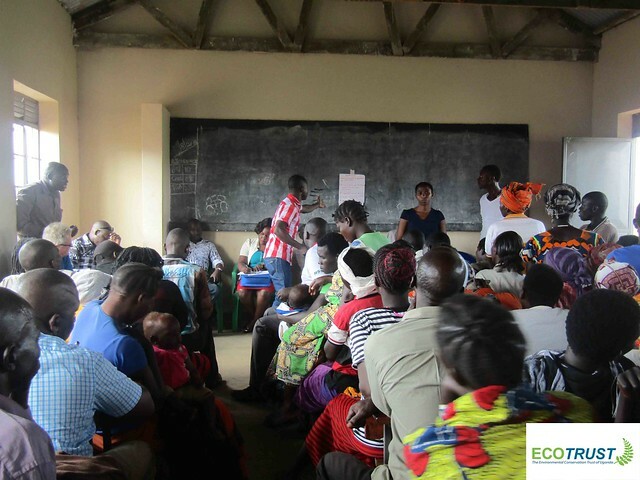 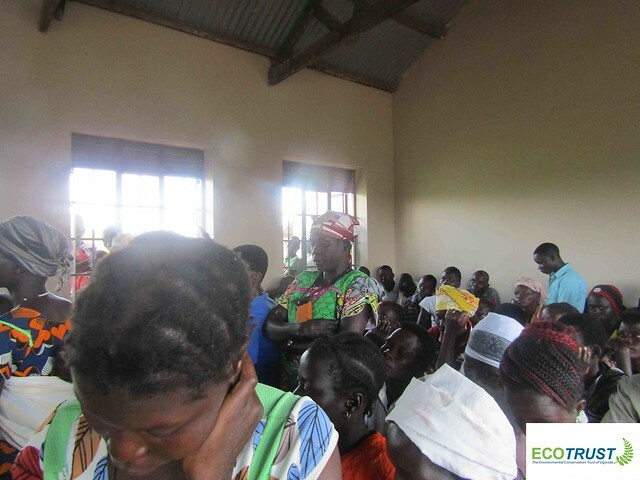 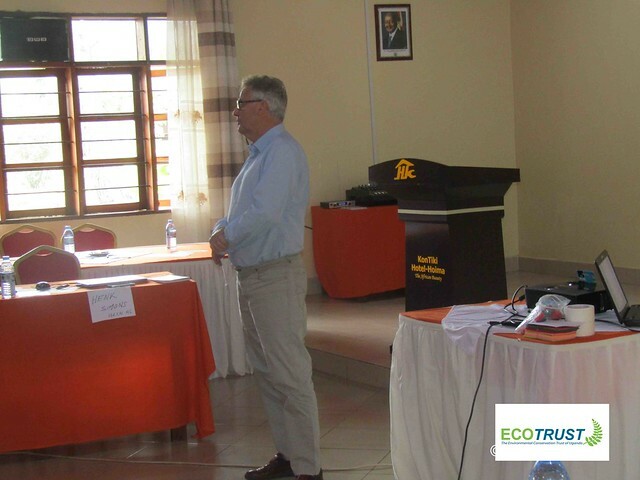 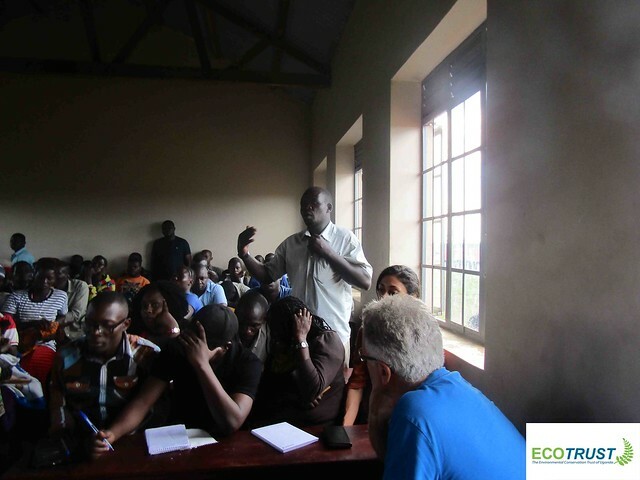 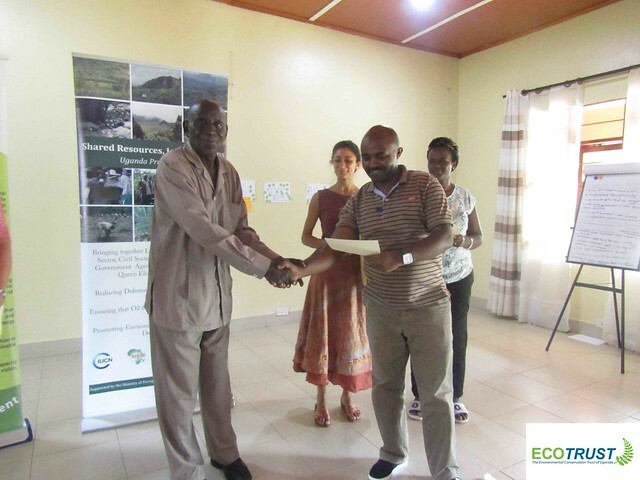 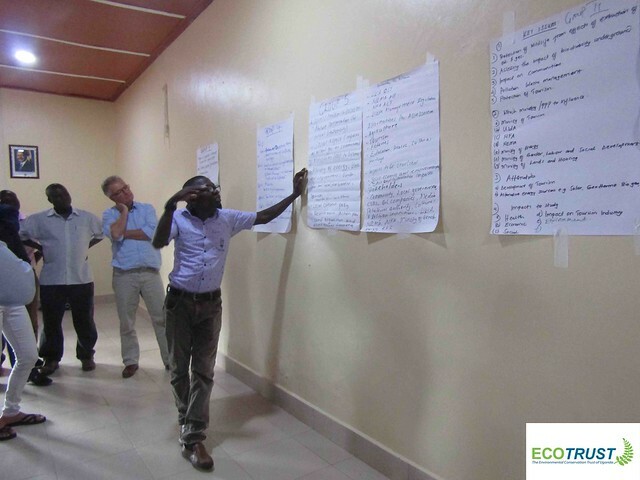 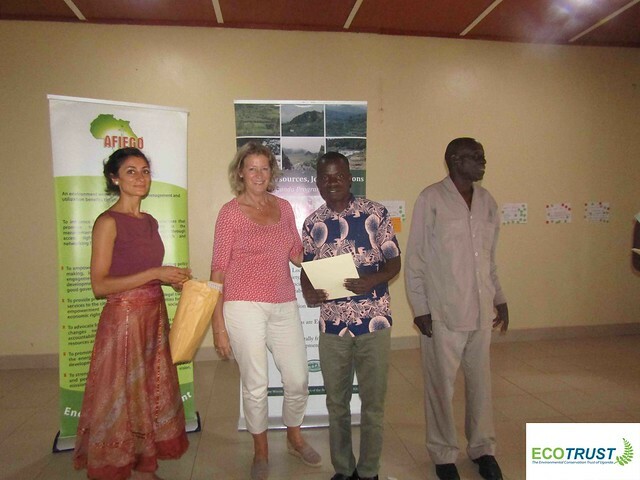 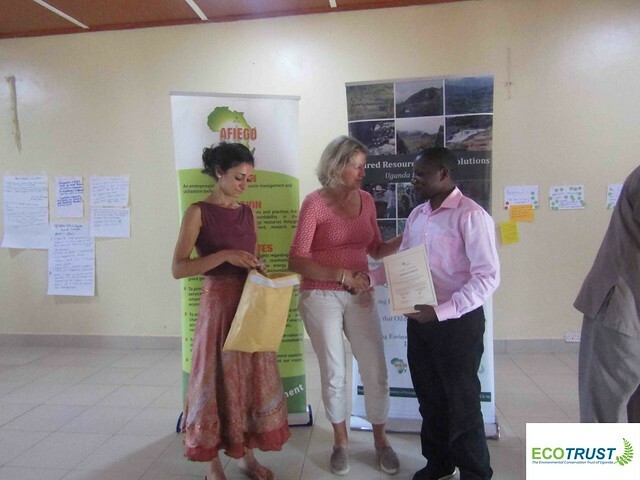 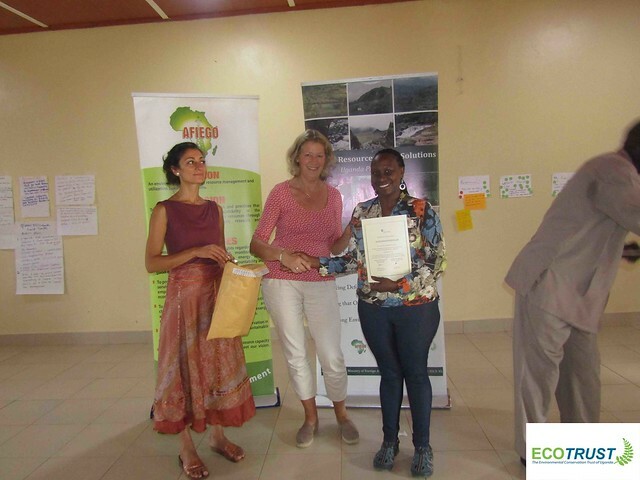 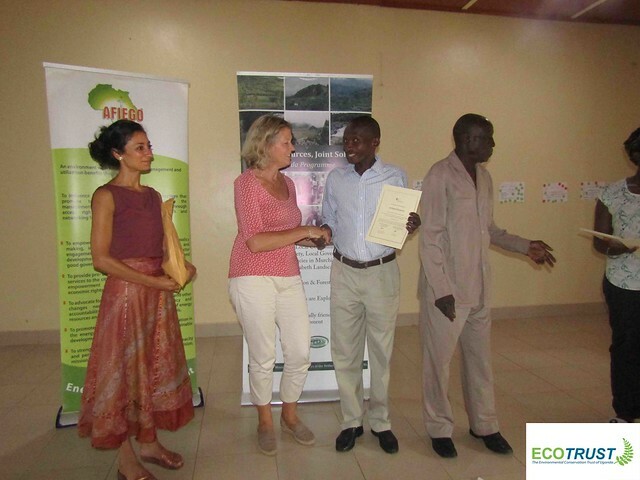 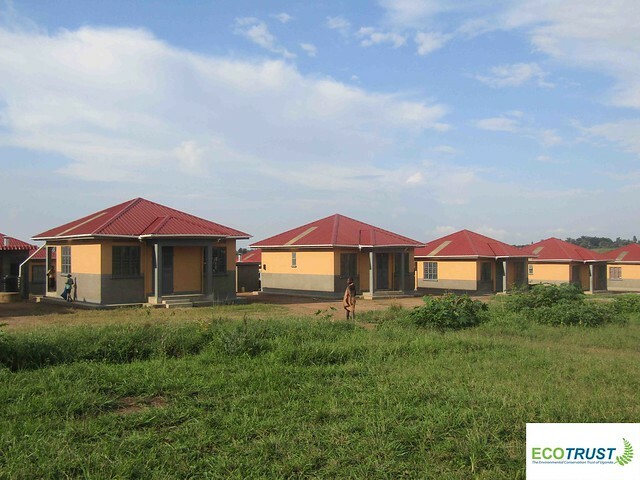 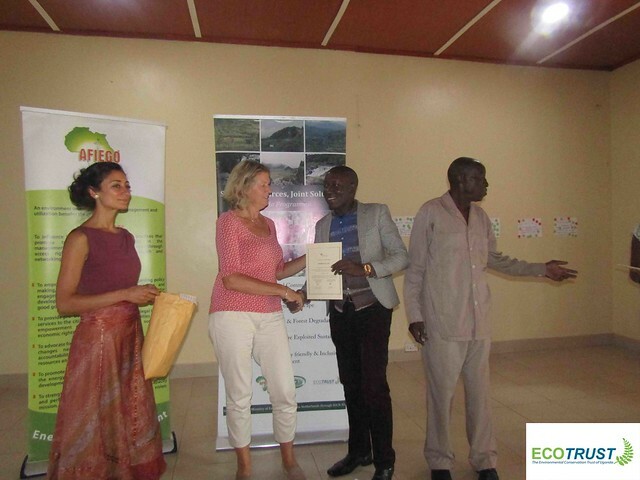 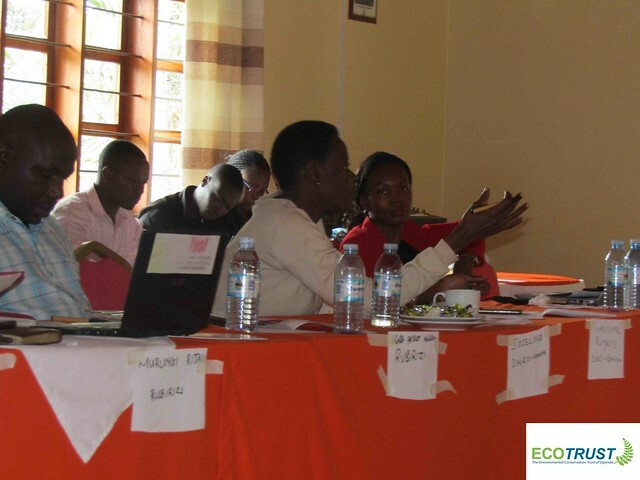 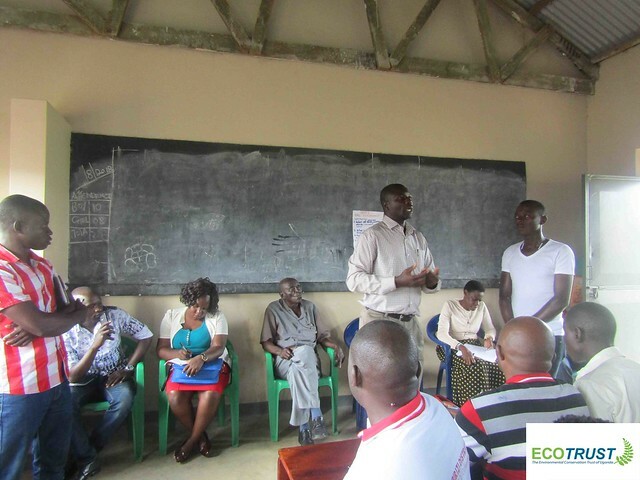 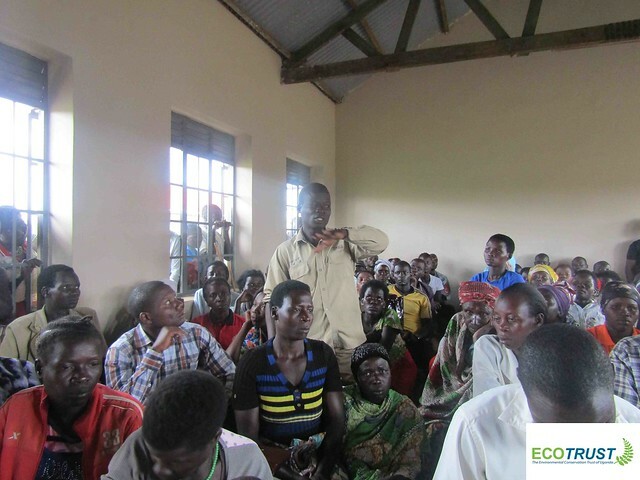 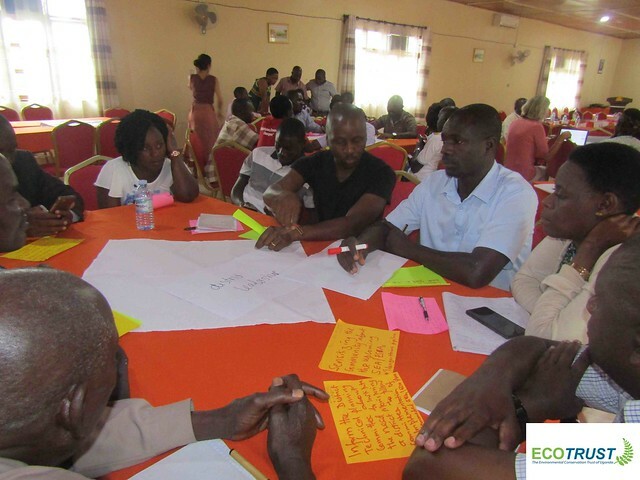 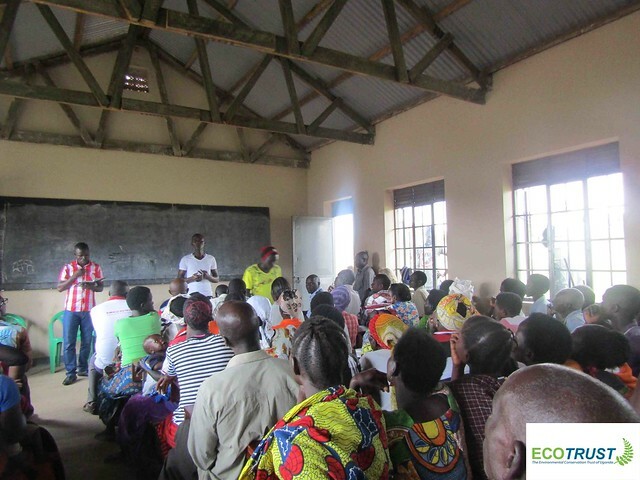 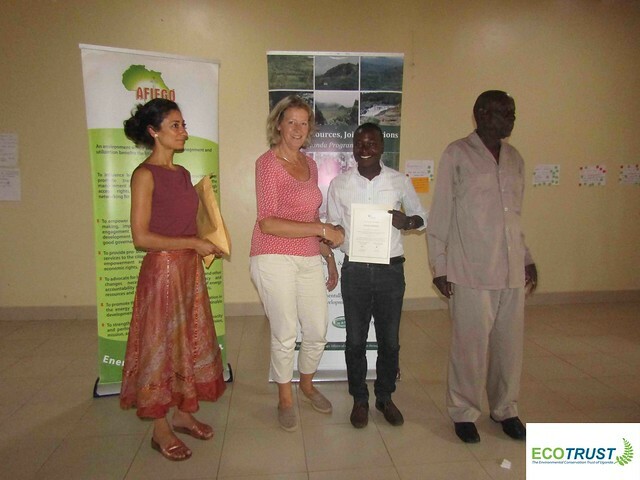 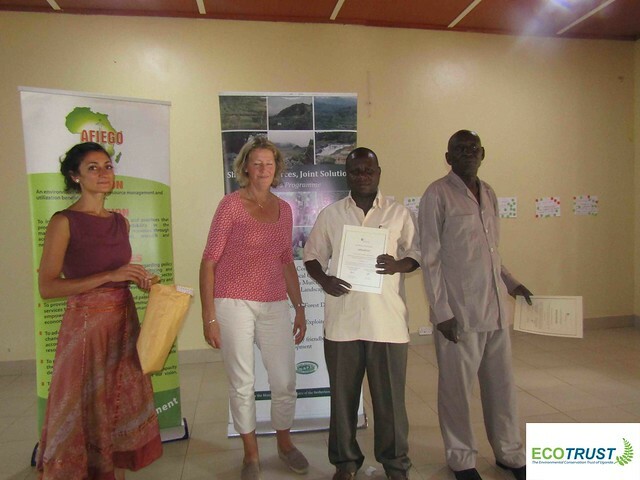 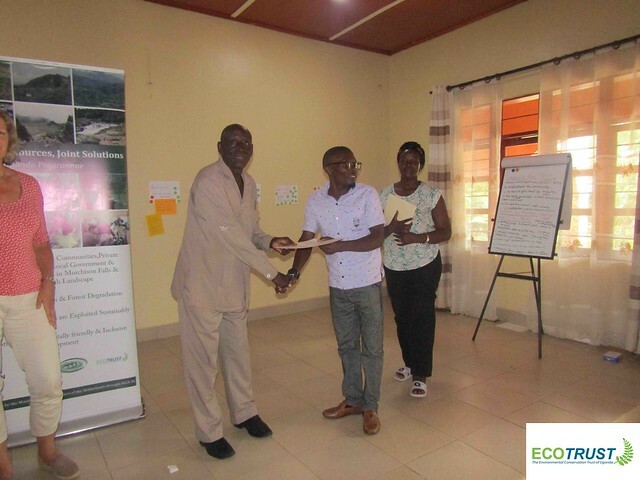 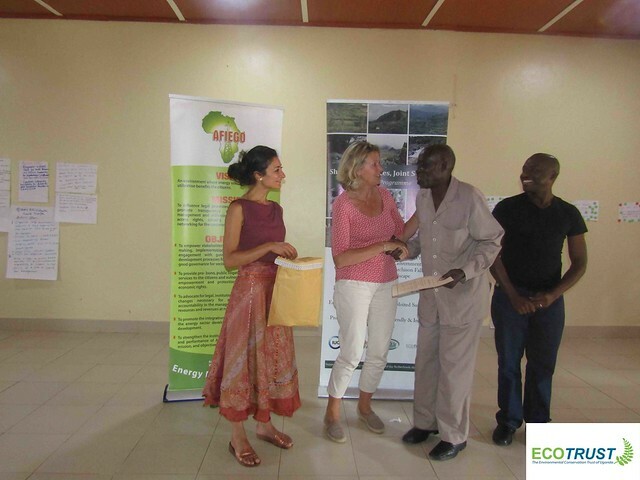 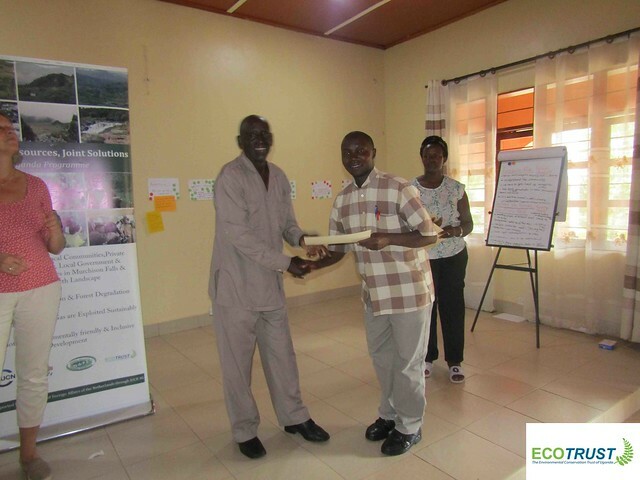 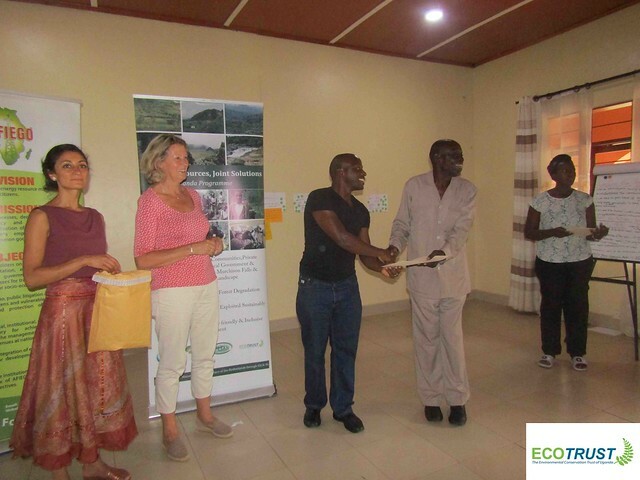 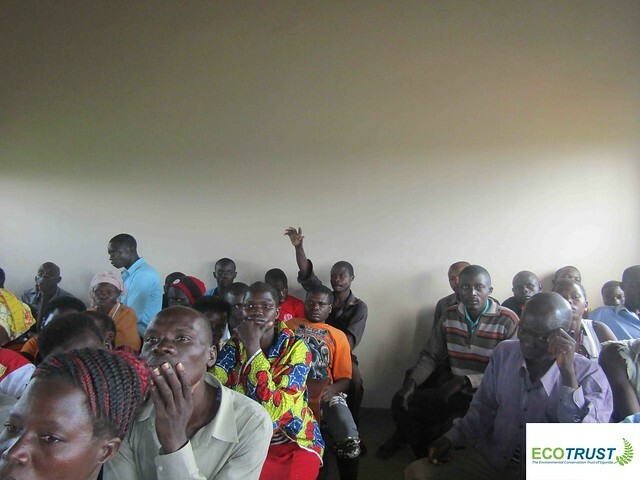 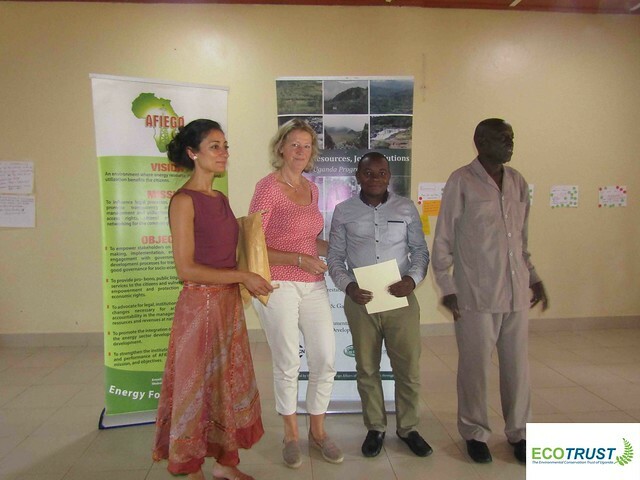 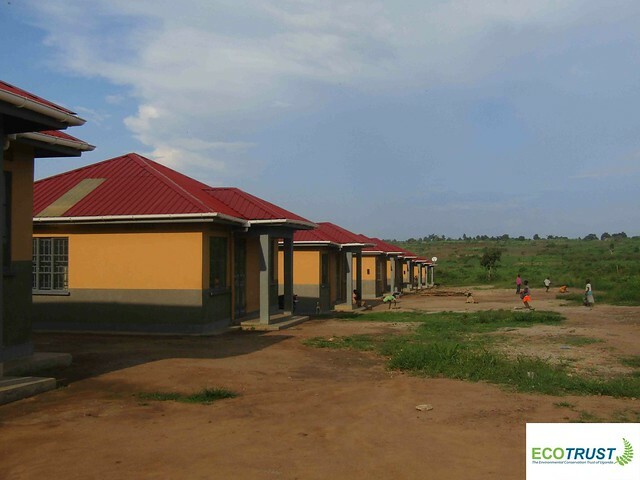 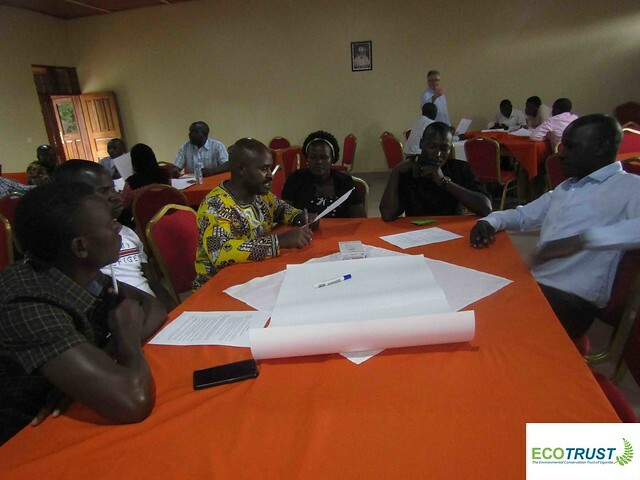 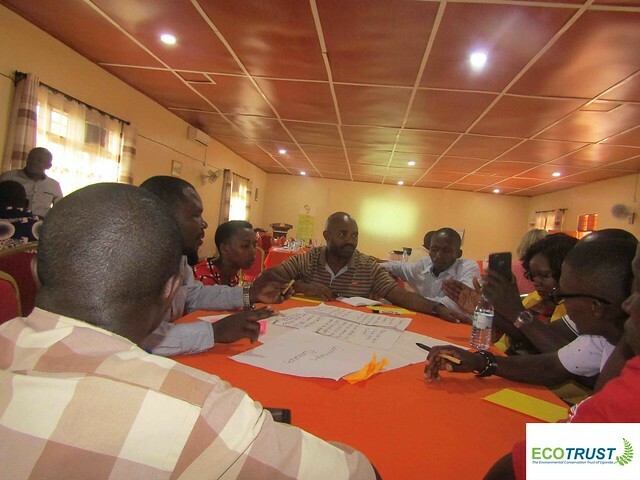 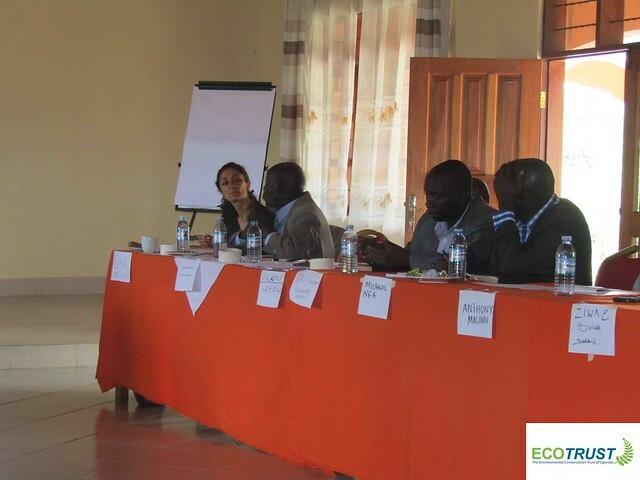 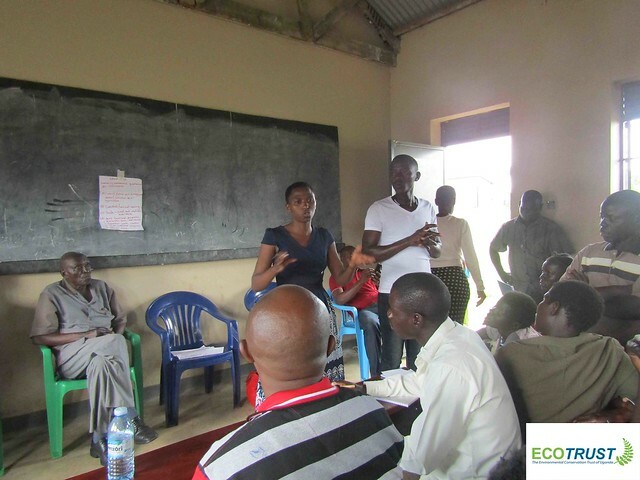 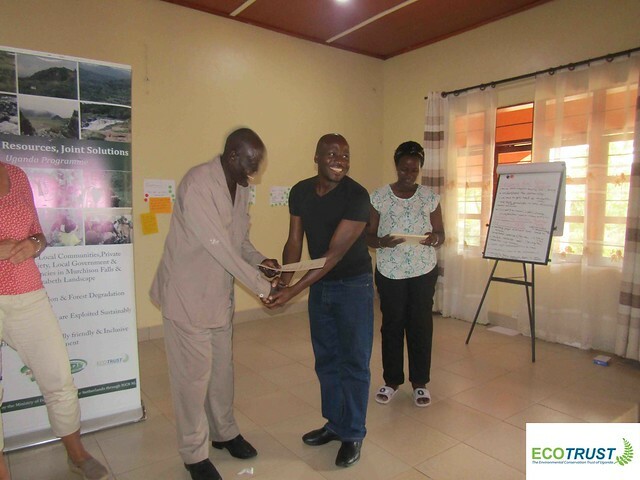 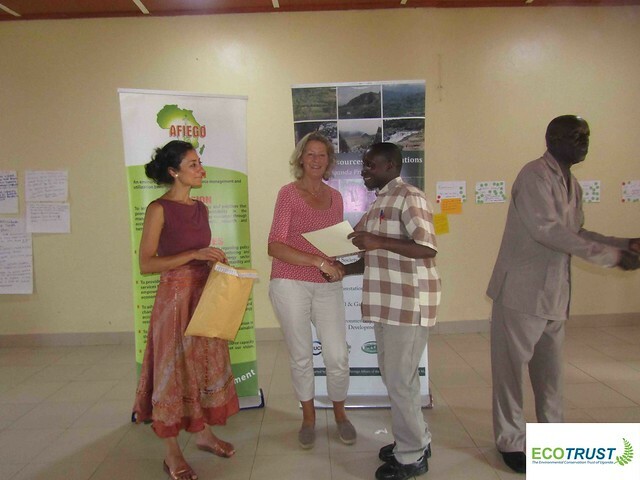 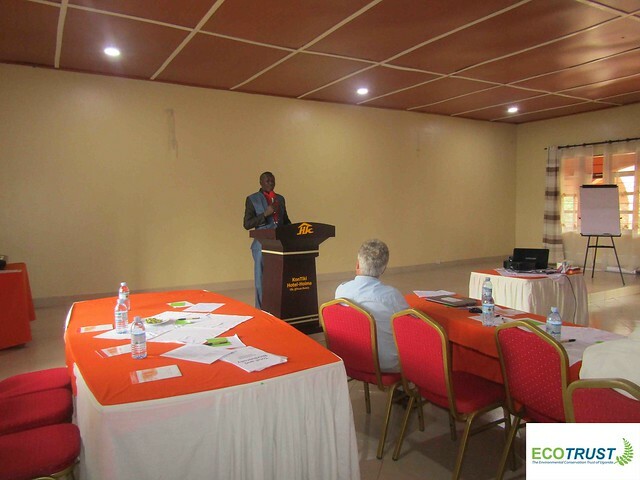 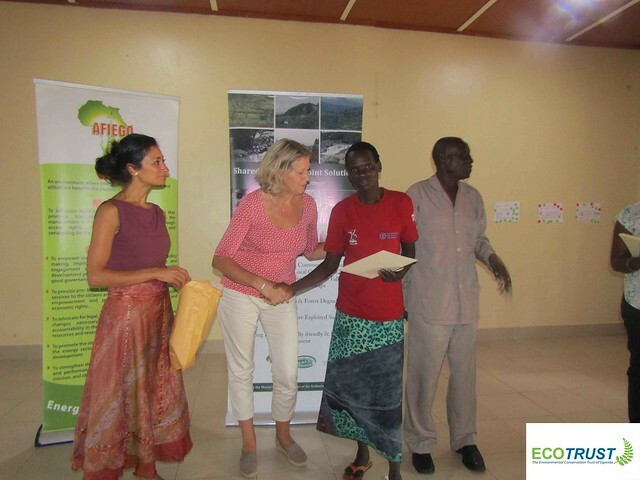 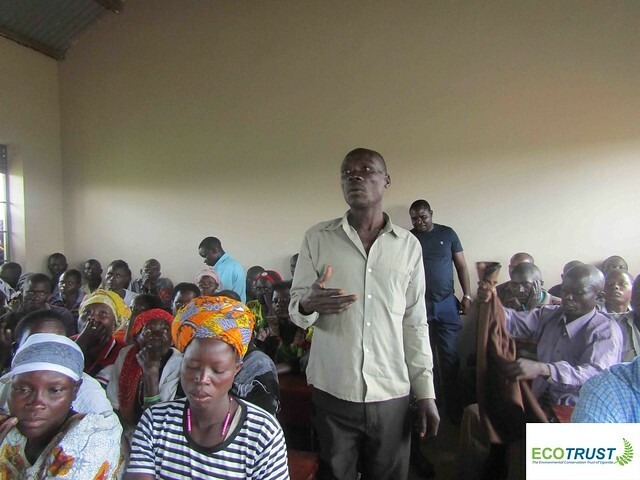 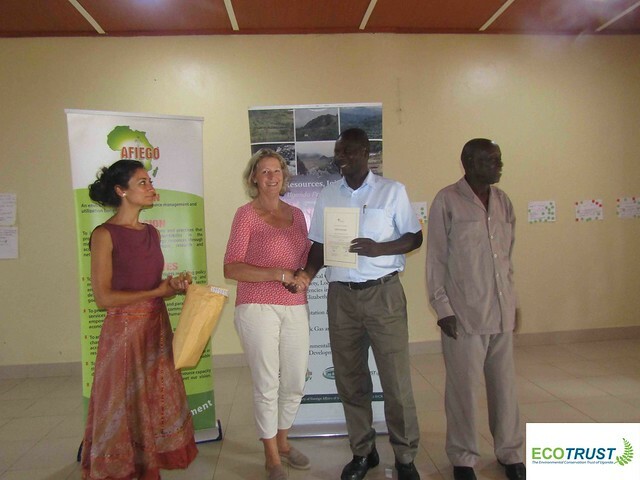 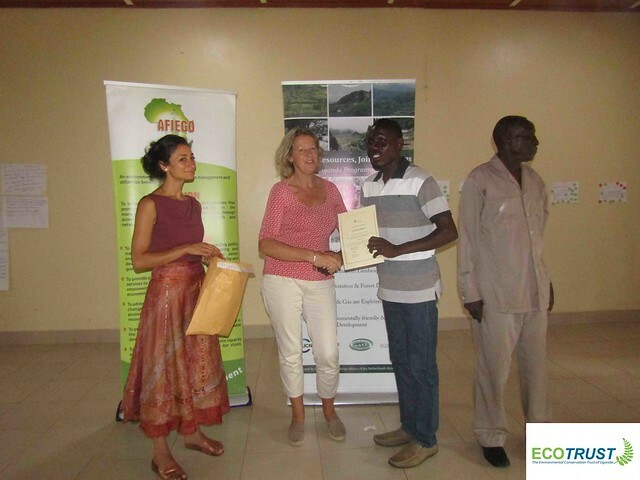 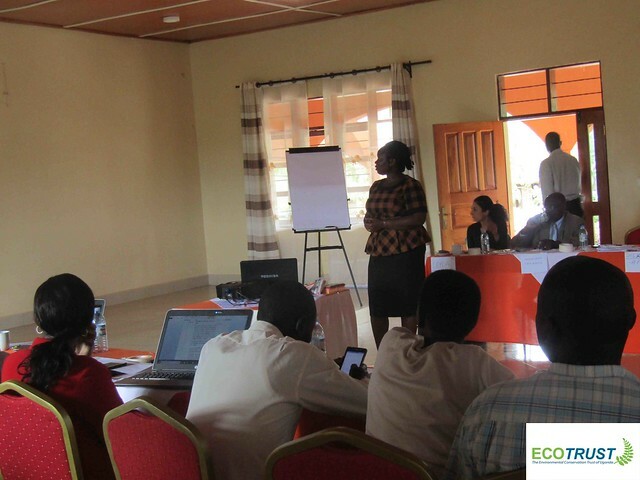 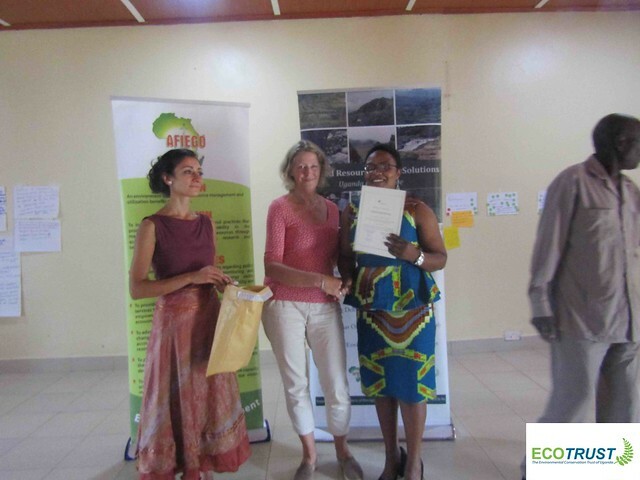 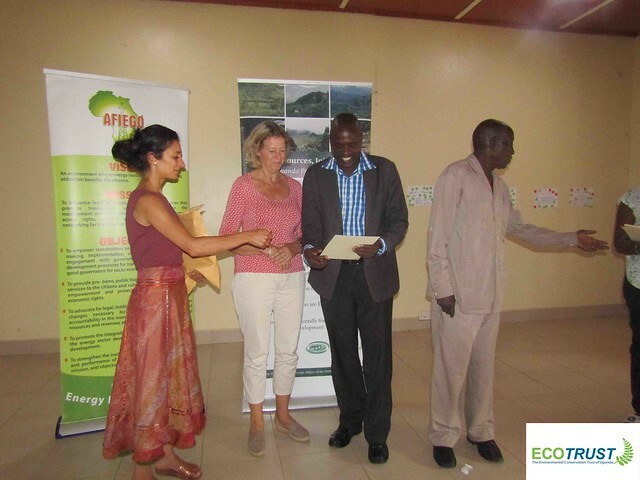 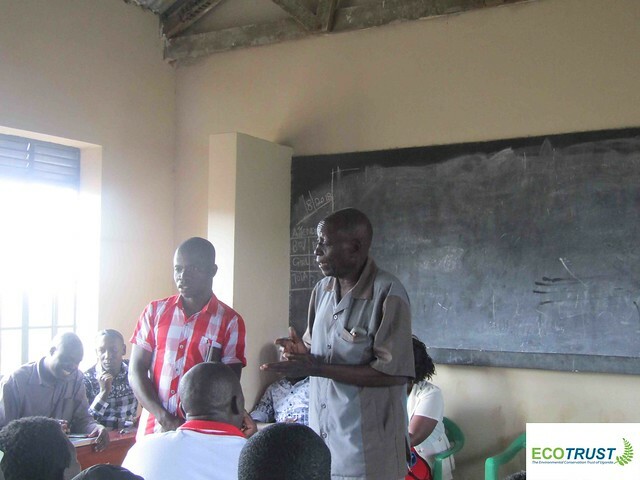 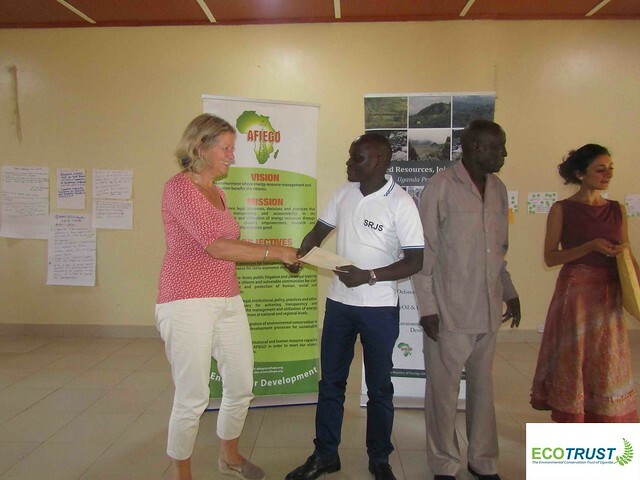 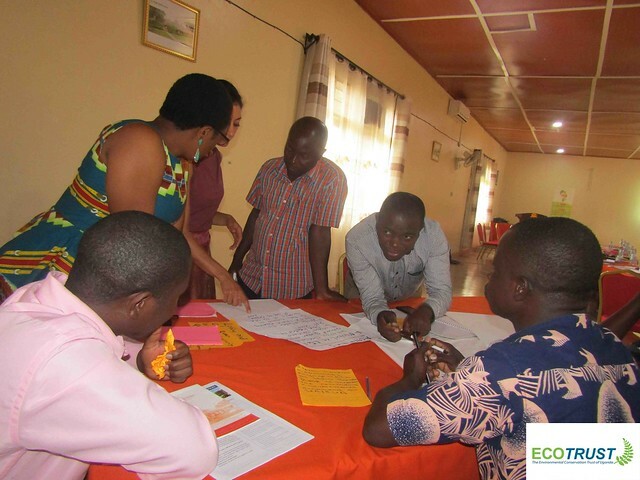 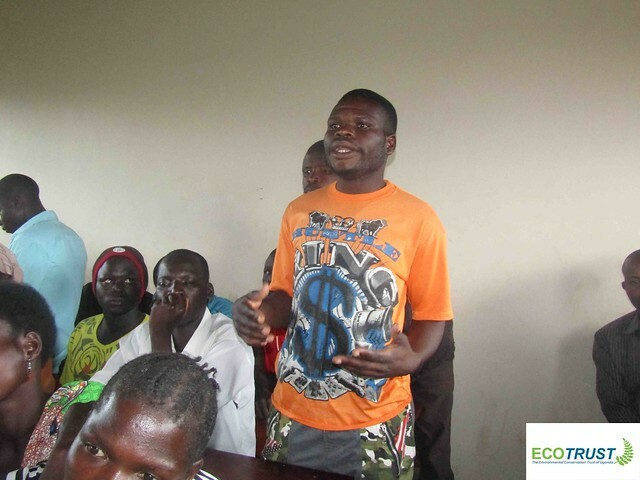 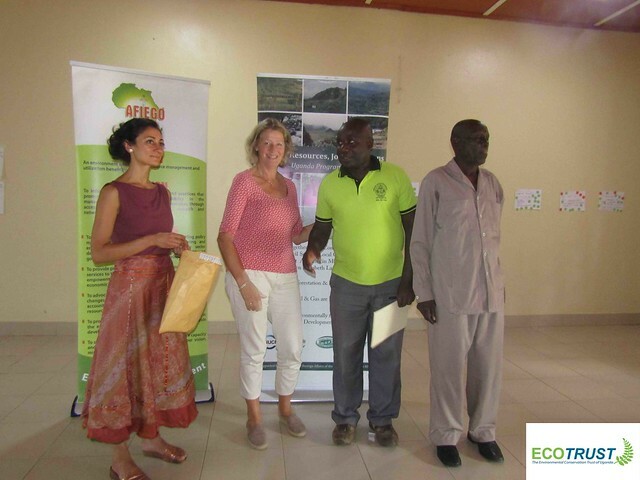 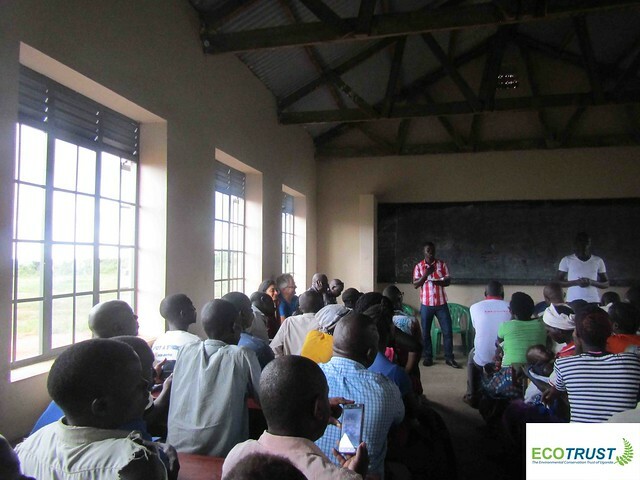 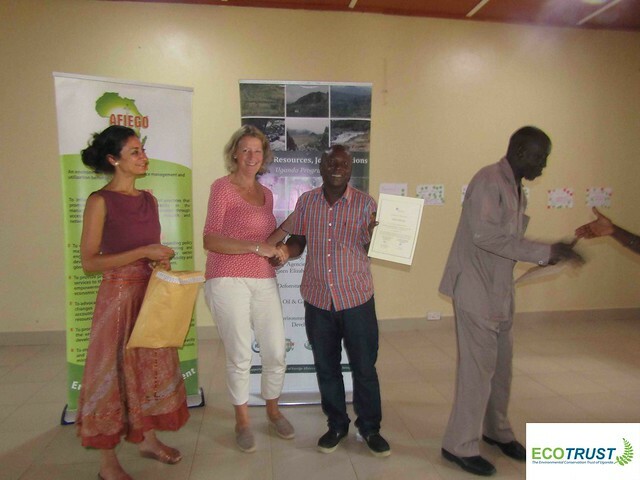 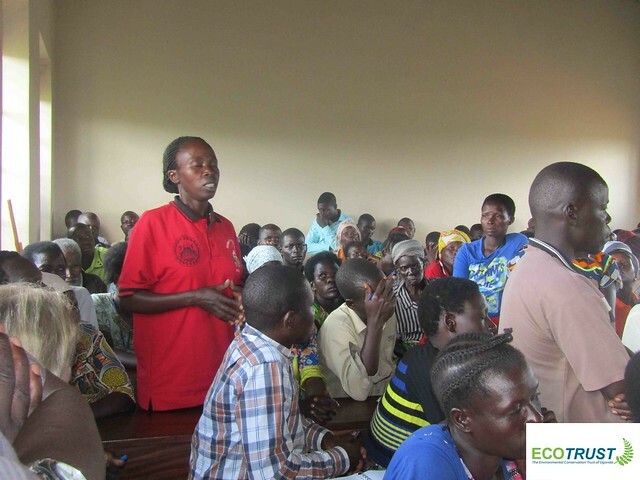 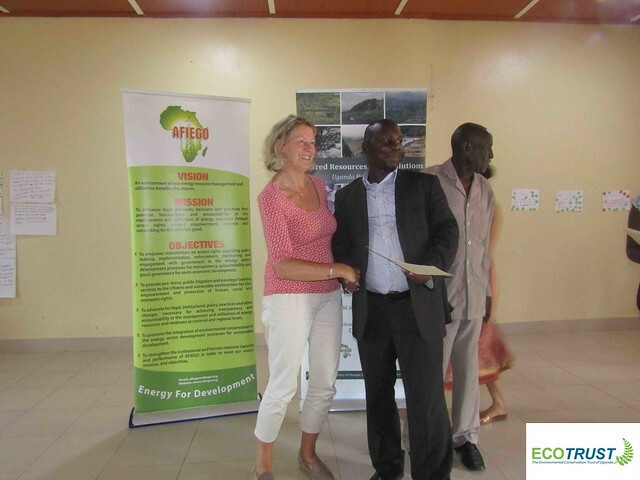 The training, facilitated by experts from the Netherlands Commission for Environmental Assessment (NCEA) brought together over 35 selected participants from the Murchison Falls and Queen Elizabeth landscapes. 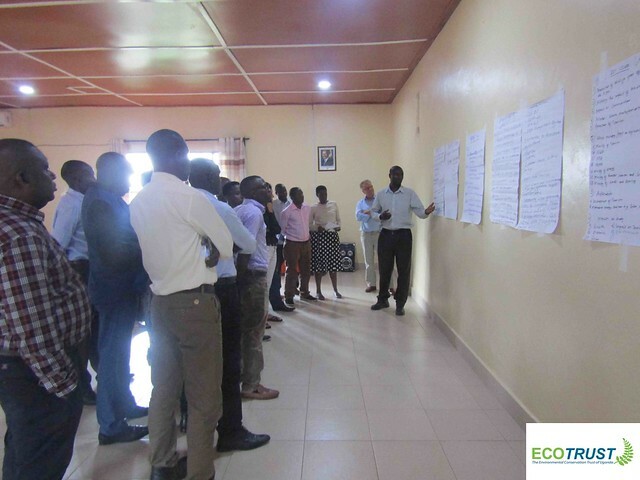 The main objective of the training was to empower major stakeholders in the region with skills to participate and influence decision-making processes in the Oil and Gas Sector in order to mitigate negative impacts on biodiversity and International Public Goods (IPGs) of food security, water, climate resilience and others. 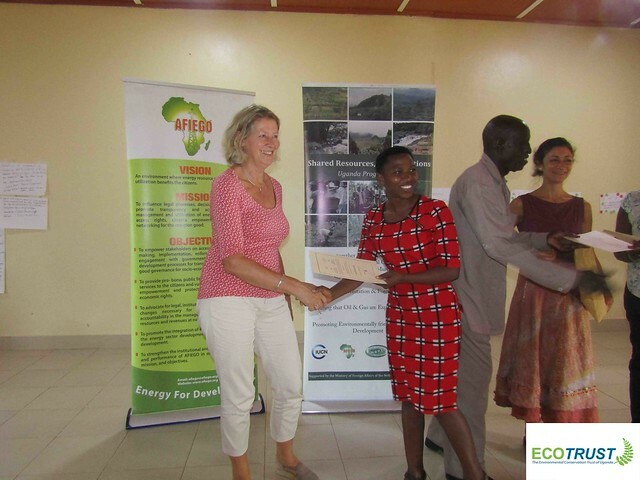 Participants can now effectively take part in oil and other related environmental and social impact studies such as the ones on feeder pipelines, central processing facilities, Nile crossing, water abstraction, the Bugungu airport etc.. 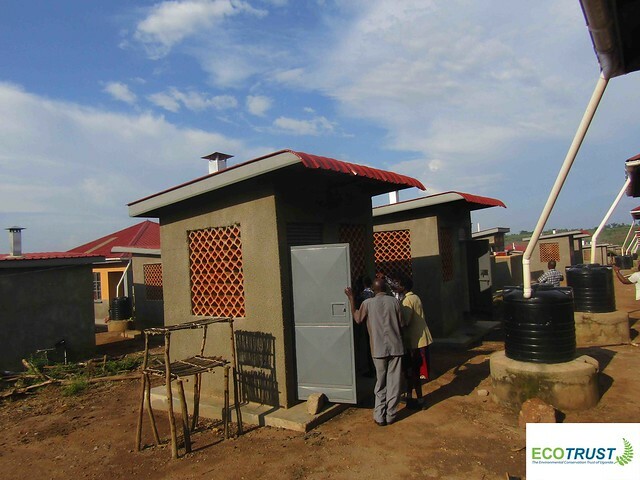 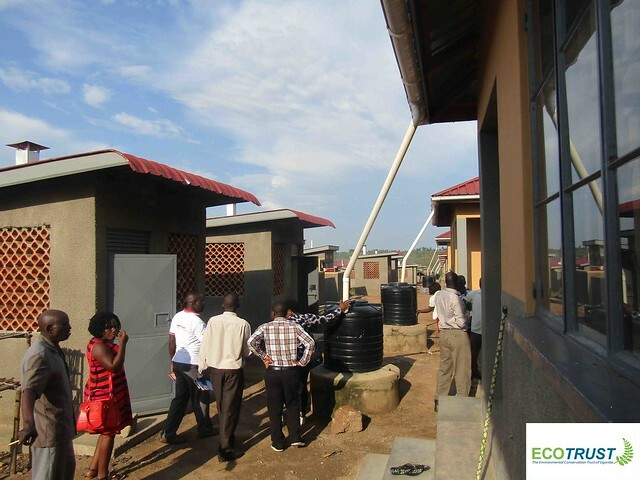 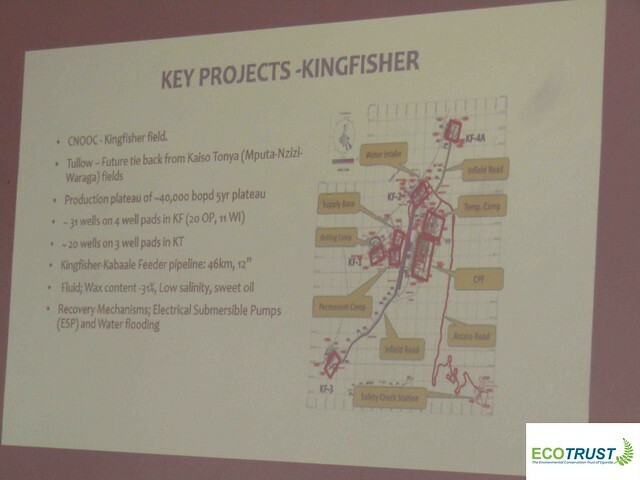 These structures are to be set up in the Tilenga and Kingfisher areas as well as the EACOP route. 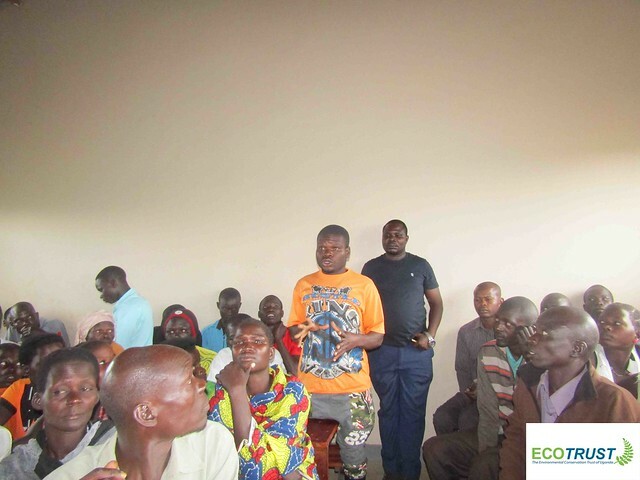 There is no doubt that the proposed oil production activities will have huge environmental and social impacts that will mostly affect the local communities. 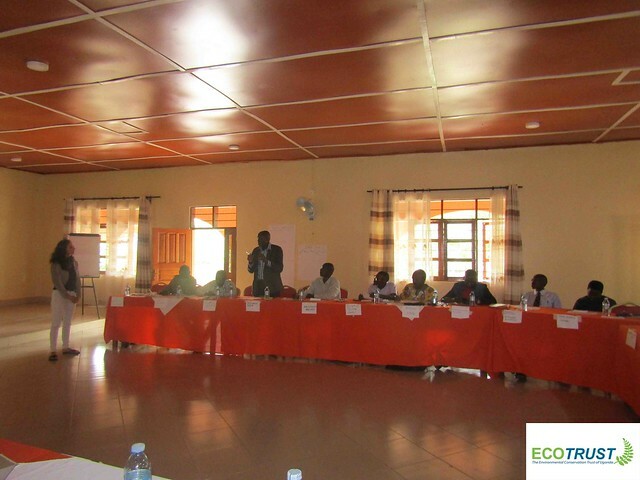 SEA/ESIA are strategic tools to ensure conservation of the environment and safeguard of community livelihoods. 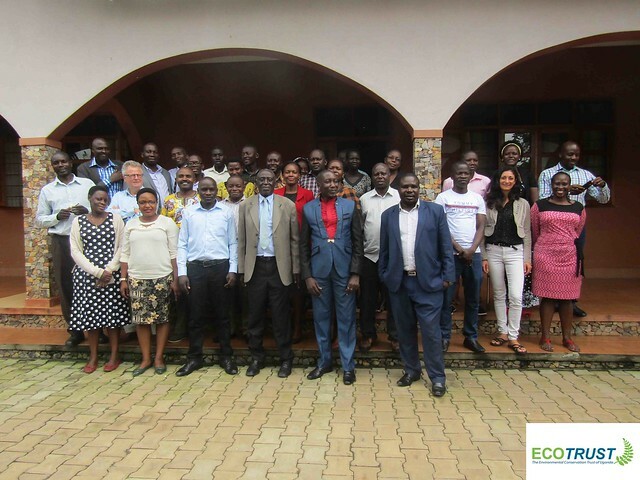 This training came as a follow up of the first SEA/EIA training that was held in April 2017, which mainly benefited the SICU partners and other selected national-based CSOs and stakeholders. 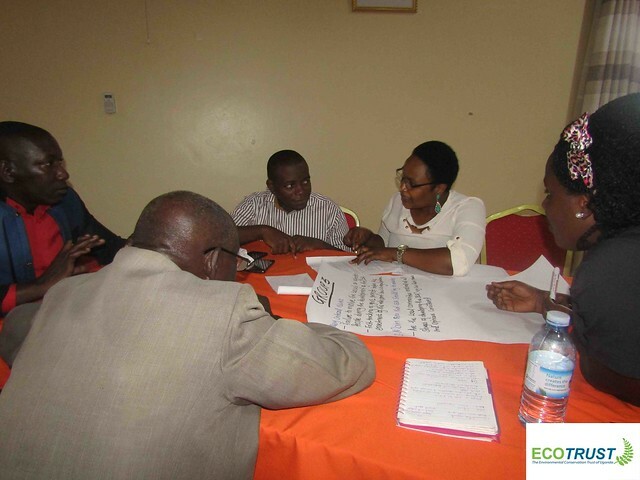 Participants from the first training were able to compile a memorandum of proposals and submitted it to NEMA and MWE to influence the content of the SEA and EIA draft regulations. 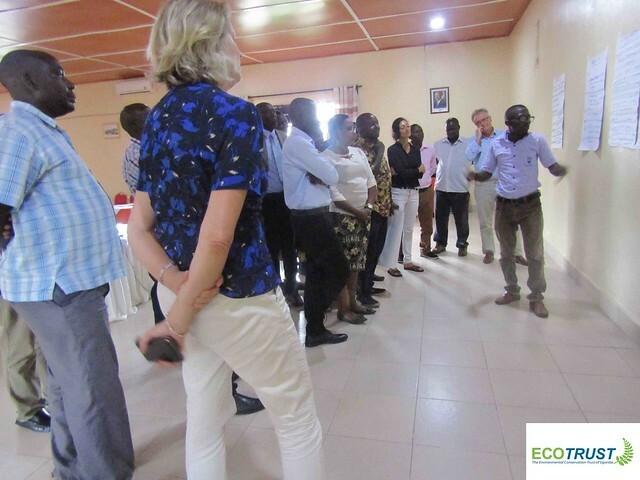 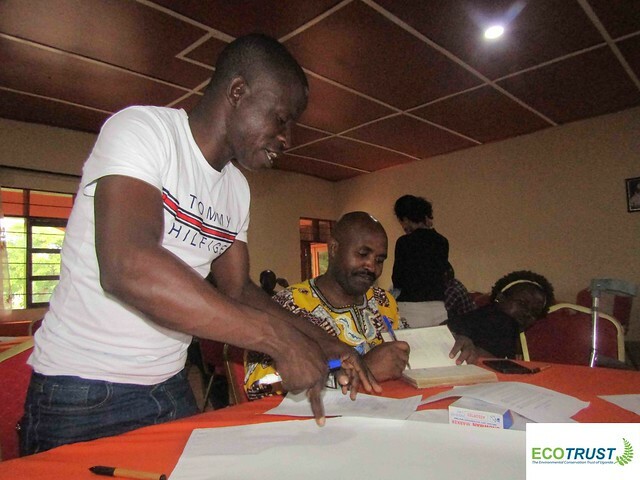 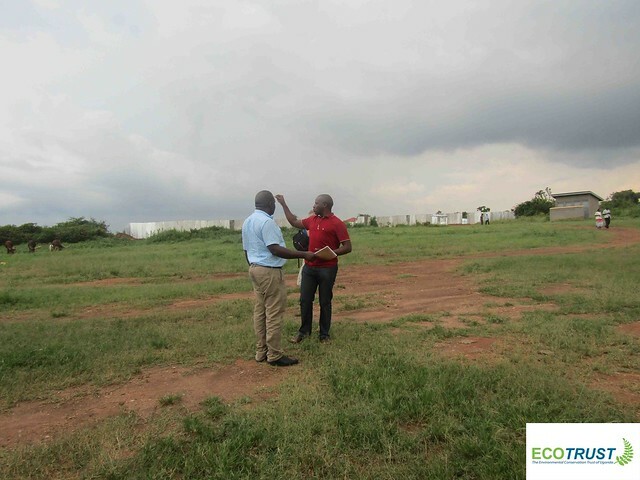 NEMA also took part in this landscape level training, and to the benefit of the rest of the participants, offered clarification on their role, positions and constraints. 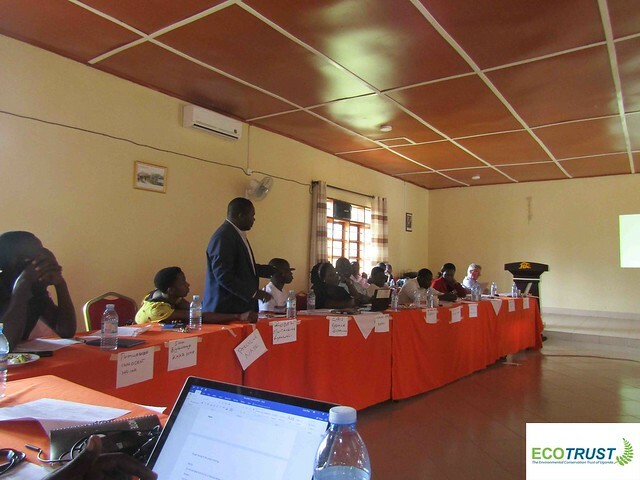 The training recommended that CSOs and other landscape stakeholders work together with NEMA in review and monitoring of future ESIAs. 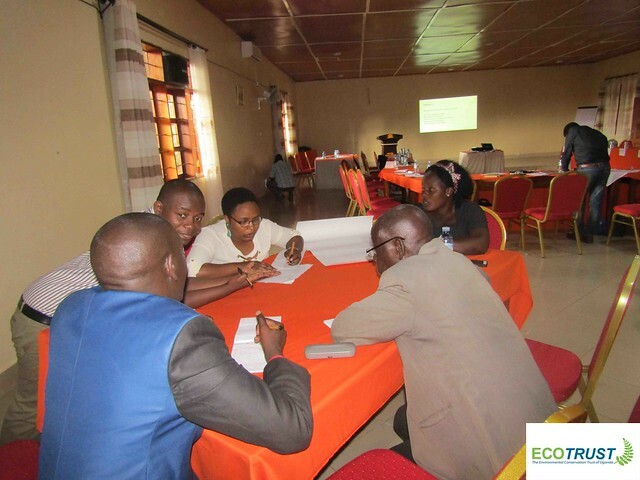 Oil companies are required by law to conduct Environmental and Social Impact Assessments (ESIA) to assess the likely impacts of oil production and offer necessary mitigation measures before oil production can commence. 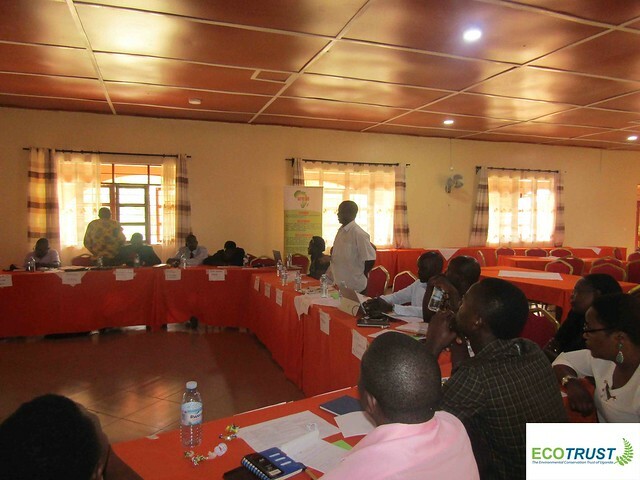 The training also aimed at strengthening the capacity of landscape-based stakeholders to influence the ongoing environmental legal reforms including the enactment of a new National Environmental law, the new Environmental Assessment (EA) and Strategic Environmental Assessment (SEA) regulations as well as reform of the Uganda Wildlife law, the Wetlands Management law, the social and environmental accountability law, the climate change law, the Article 26 constitutional amendment bill 2017 and others. 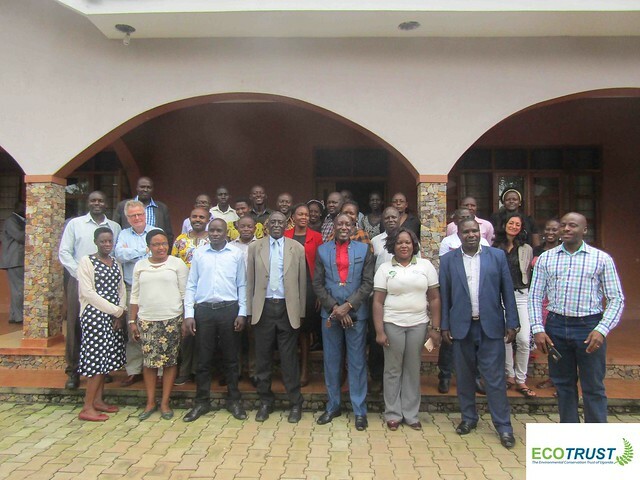 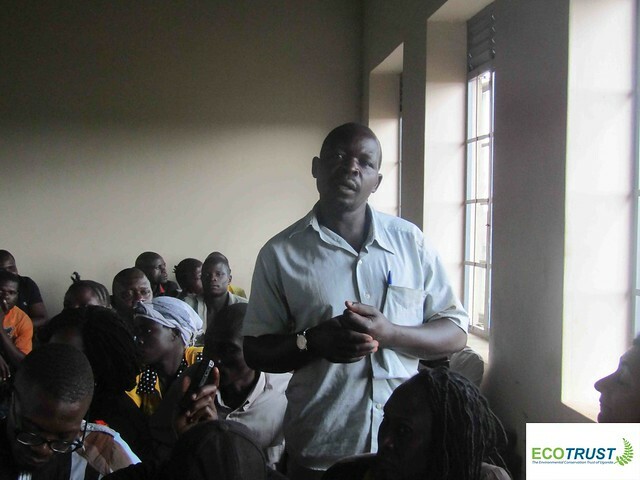 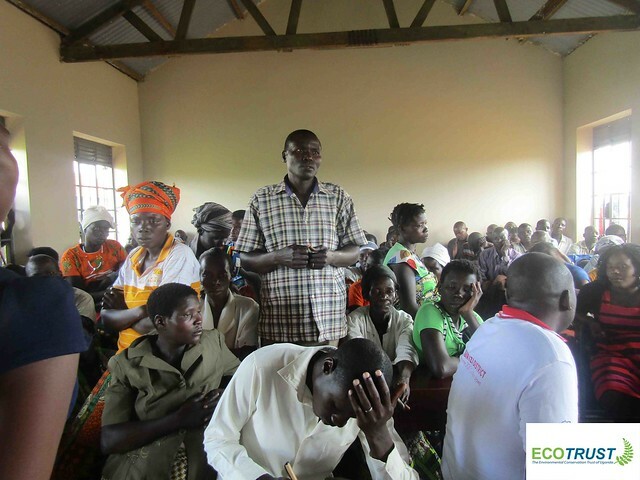 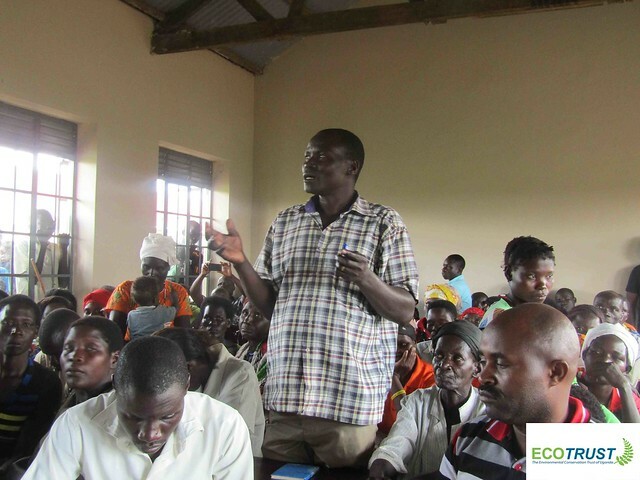 These stakeholders, mostly from Civil Society, are working with the Uganda Parliament to address the existing legal weaknesses that have been blamed for undermining environmental conservation efforts and contributing to degradation in the country. 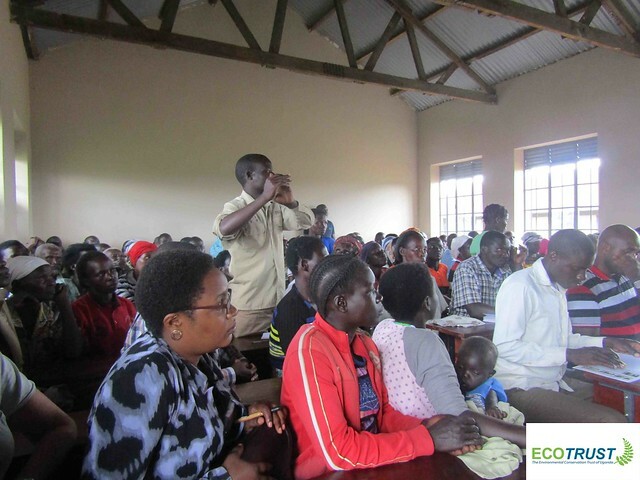 The new laws are intended to bring the new developments such as oil, climate change and new environmental tools such as SEA, ESIA and others into Uganda legal framework for good governance. 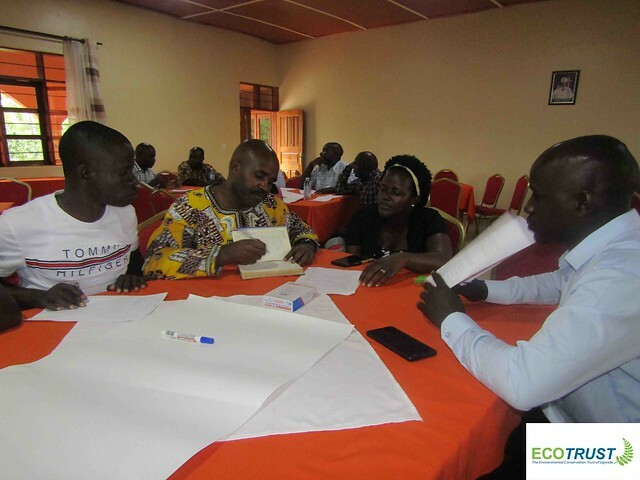 Participants, during the training, drafted individual and collective action plans to guide their future engagements in mitigating oil threats in their respective areas. 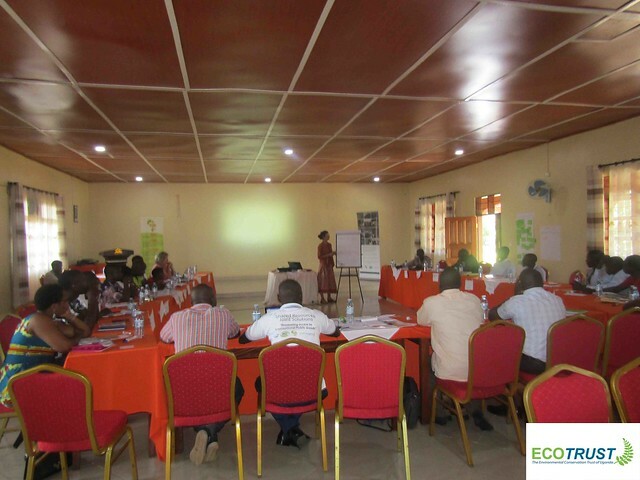 The action plans will enable the trained participants continue with conservation efforts beyond the training. 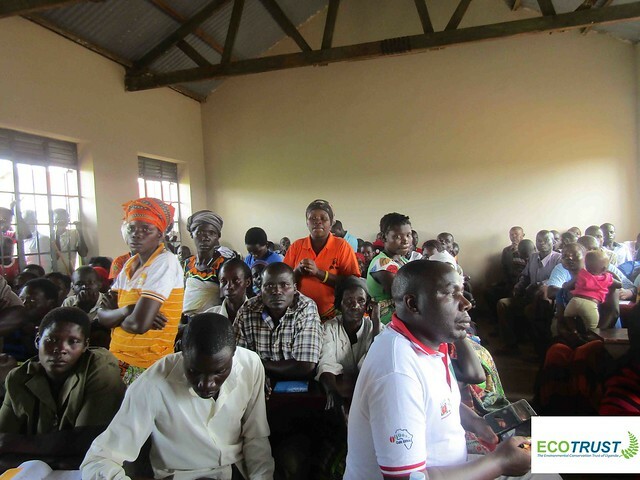 SRJS Implementing partners will continue to be a part of these efforts.